Featuring a remote mounted 25 watt monocrystalline solar panel and retrofit-style fan housing, the AB-255 offers easy installation behind any properly sized gable vent. 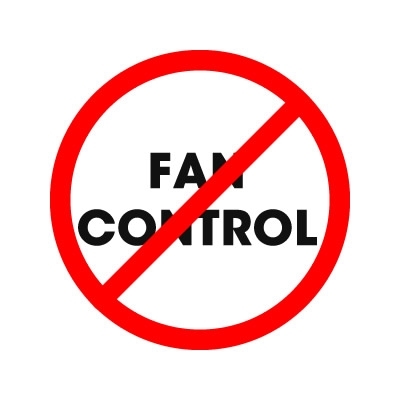 When shipped without fan control, your solar attic fan will operate whenever sunlight is available, regardless of air temperature. Please note that you may upgrade your product at anytime to operate with one of our many control system products to acheive optimum ventilation performance. The thermal switch controller allows for operation of your Attic Breeze product based on ambient temperature conditions. The mechanical, bimetallic thermal switch activates when attic temperatures are above a range of roughly 75°F (± 5°F), allowing operation of the fan when sunlight is available. When ambient temperatures are below this range, the fan will not operate. 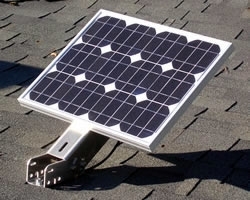 The standard low-profile mounting brackets offer a secure and convenient method for installing your remote mounted solar panel. 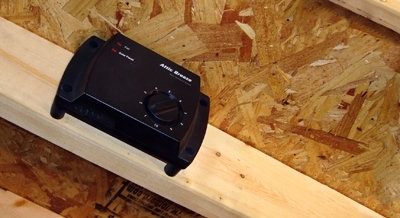 These brackets are not adjustable for the angle or direction, mounting directly on your roof. The optional Attic Breeze® Universal Bracket system allows for a full range of solar panel mounting adjustment and inclination. 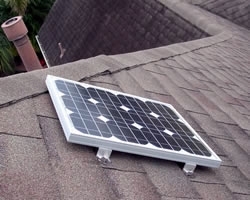 The Universal Bracket may be mounted on a roof, fascia, eve, wall or may even be pole mounted, offering a high degree of installation flexibility for your remote solar panel. 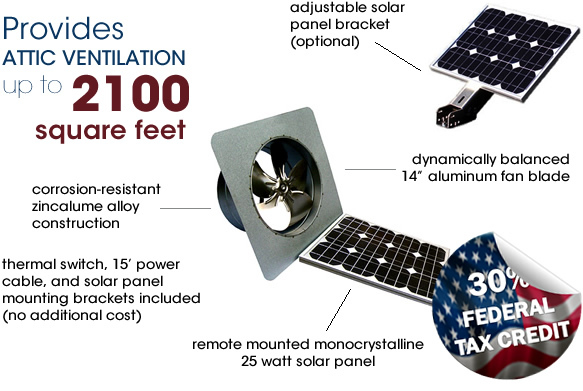 All Attic Breeze® products equipped with remote mounted solar panels come standard with a 15 foot power cable (18 AWG) featuring exterior grade UV/weather resistant cable and weatherproof quick-connect plugs for easy installation. 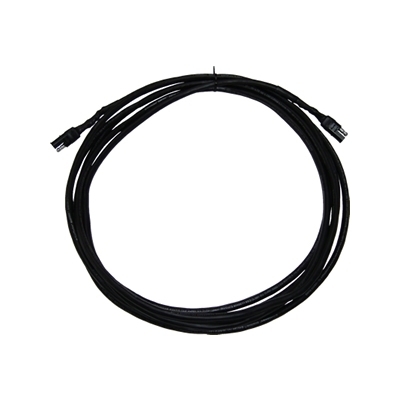 Designed for applications requiring a longer distance cable run, the 40 foot extended power cable (14 AWG) features exterior grade UV/weather resistant cable and weatherproof quick-connect plugs for easy installation. The Zephyr™ AB-255 retrofit-style solar gable fan features a powerful 25 watt remote mounted monocrystalline solar panel and offers easy installation mounted behind or underneath an existing passive vent. 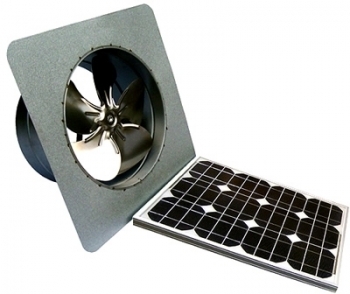 These fans are great for home owners that want the benefits of solar powered ventilation without the need for making a roof penetration. Designed for maximum airflow performance, the AB-255 delivers up to 1550 CFM of airflow in full sun exposure and offers an industry leading LIFETIME WARRANTY. 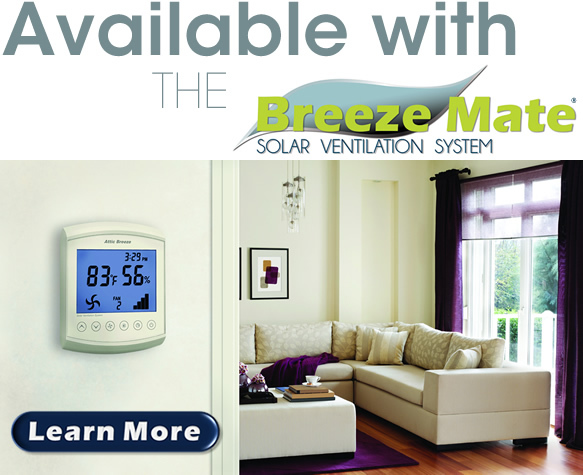 The Breeze Mate® solar ventilation system puts ventilation control in your hands, allowing full control over fan operation, temperature and humidity set points, as well as many other safety and performance related features. 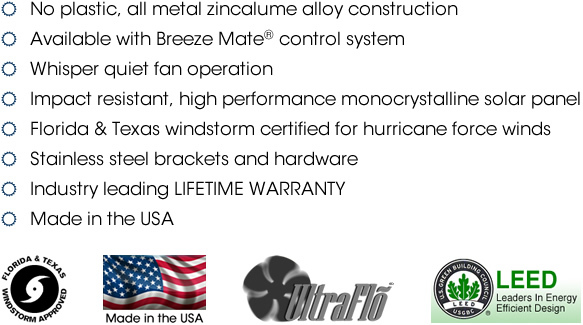 Breeze Mate® is both easy to install and operate, using plug-n-play wireless network technology to control the operation of your solar fan. 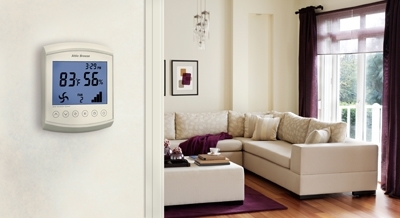 Click above to learn more about this amazing new control system from Attic Breeze®!